The Spanish Royal Family’s agenda is quickly picking up after the recent summer vacations in Europe. 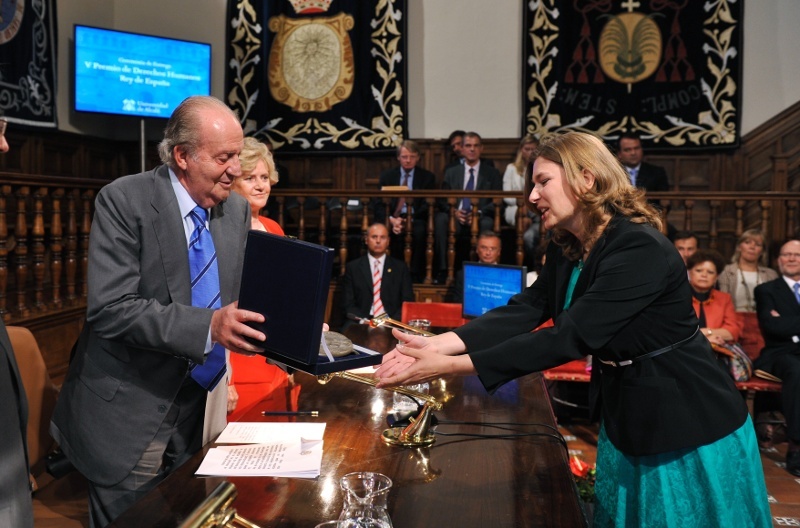 Today King Juan Carlos handed out the King Juan Carlos Human Rights Award at the famed Univerity of Alcalá. The King’s son, Prince Felipe of Asturias, also presided over several meetings today at Zazrzuela Palace in the outskirts of Madrid. However, Queen Sofia is the one capturing the headlines. Her Majesty has been in New York this week. She was at the United Nations to receive the Franklin Delano Roosevelt International Disability Rights Award on behalf of Spain. During her remarks, the Queen said the award represented the goal of complete equality for people in society. 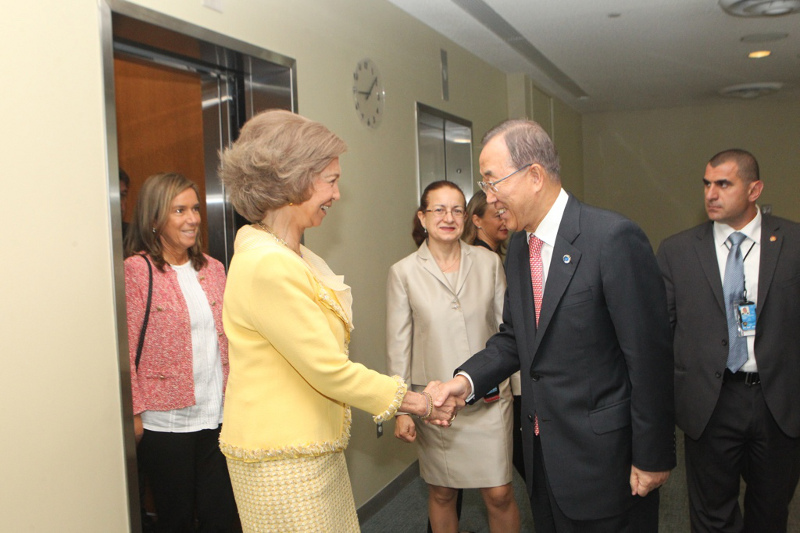 Queen Sofia also met with U.N. Secretary General Ban Ki Moon and spoke at an international development work meeting. 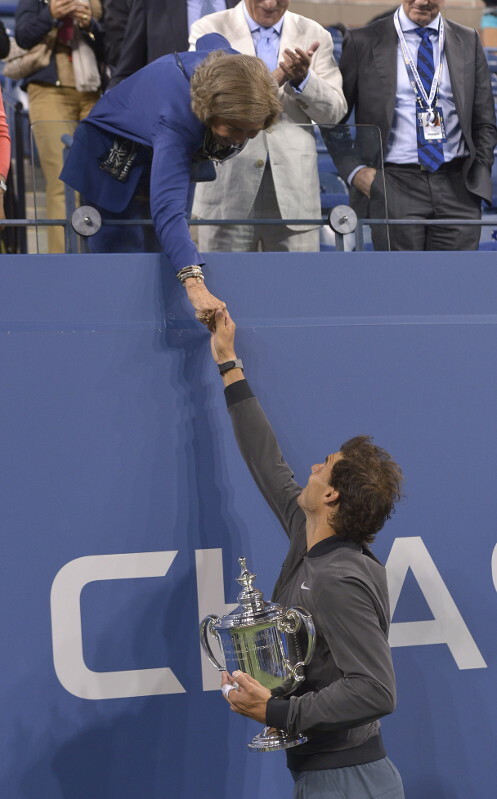 It should not come as a surprise that Queen Sofia, a big sports fan and a booster of Spanish athletes, took some time to see Rafael Nadal win the US Open.